that’s the title of this public art installation sculpture by Erie, Pennsylvania artist Mary Pat Lynch. Lynch used WEST SYSTEM® epoxy to apply layers of designer fabrics to the fiberglass fish. The project was sealed with epoxy and then coated with an anti-graffiti lacquer. 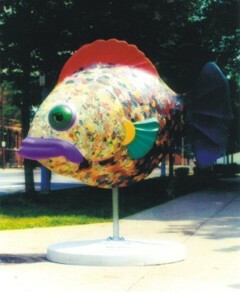 The “GoFish!©”art project took place in the summer of 2001 in Erie, Pennsylvania. Over 75 fiberglass fish were displayed downtown after their transformation by local and regional artists. 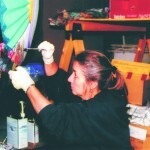 Artist Mary Pat Lynch uses epoxy to apply fabric scales to the fiberglass fish. 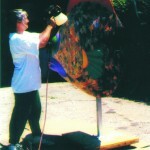 Lynch applies anti-graffiti lacquer to finish the sculpture. 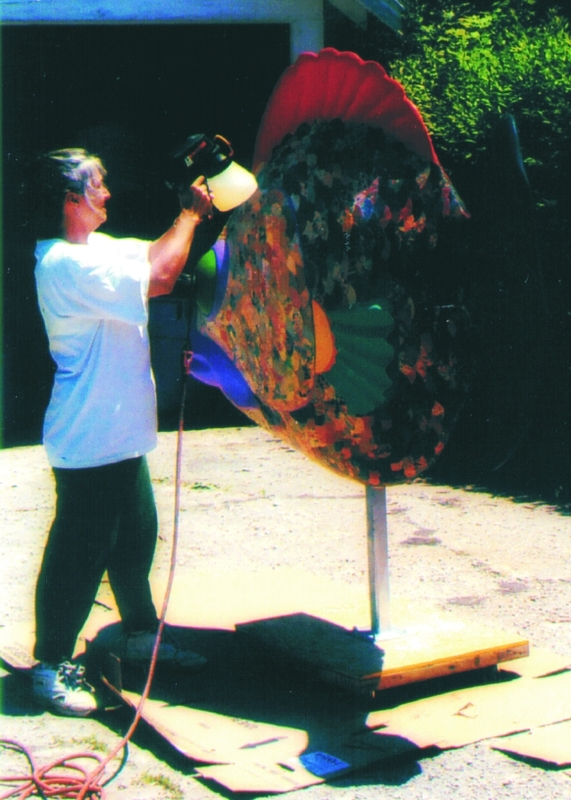 This entry was posted in Arts & Crafts and tagged 18, back cover, Epoxyworks #18, Fall 2001, Mary Pat Lynch, public art, reader projects, sculpture on October 12, 2014 by ewadmin.